The likelihood of Rangers securing some form of silverware this season is slowly fading, which means that boss Steven Gerrard must plan for next season. Winning a trophy should be a priority come the start of the new campaign, and there are a few areas which the Gers must recruit in. The first one should be a new centre-back, a position which has not excelled greatly so far. Connor Goldson was drafted in last summer from Brighton last summer, and it is safe to say that for the most part, he has done his job to an acceptable standard. However, in the last few weeks, he has suffered a a rapid decline in form, which is no doubt a concern for Gerrard. Nikola Katic is not in the form of his life either, so signing a centre-half is an absolute must. 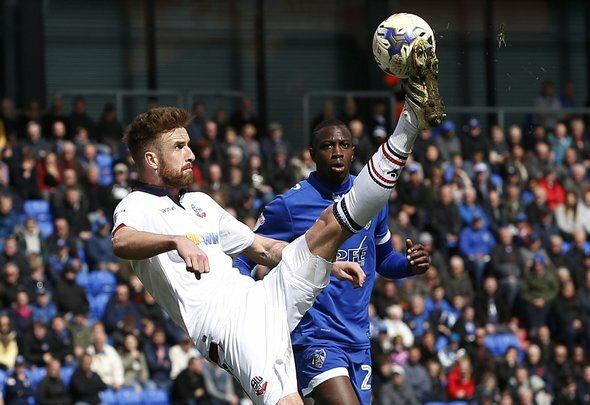 In the summer, Gerrard was plotting a last-gasp swoop for Bolton defender Mark Beevers, according the Daily Star. Now the 29-year-old is out of contract come the end of the season, there is no better time for the Gers to reignite their interest in him. He is just what they need to reinvigorate their bid for success next season, and signing him will provide Gerrard with the perfect opportunity to play around with his tactical system. Also, getting him on the books means that they have quality cover if either Goldson or Katic are injured or suspended. What other reasons does the manager need to revive the club’s interest in Beevers? His immense Championship experience – he has a staggering 261 appearances to his name – pretty much sums up why he is their ideal signing. Many Rangers fans will surely be thrilled if Gerrard pounced on the 6ft 4in [Transfermarkt] colossus in the summer, as he is just the player to kickstart them next season.